Died: 1931, Place not known. 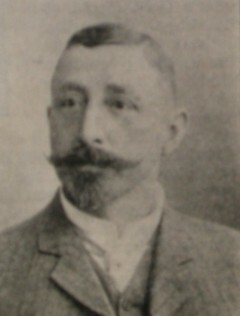 Karl Schenck (sometimes Schenk) was born and educated in Germany, where he became an expert in the production of tobacco. In 1886 the government of the Cape Colony appointed him as its tobacco expert in the hope that the more intensive cultivation of tobacco would help to improve the colony's chronically unfavourable trade balance. He arrived at the Cape in May that year. The next year he reported to the government on the local tobacco industry (Cape of Good Hope, 1887, where he is wrongly named "R. Schenck"). He also published a small monograph, The cultivation of tobacco in the colony (Cape Town, 1887, 40p), which was published also in Dutch. An article by him with the same title appeared in the Agricultural Journal of the Cape of Good Hope soon afterwards (1888, Vol. 1(2), pp. 14-18). Schenck's appointment stimulated the production of tobacco in the Oudtshoorn region, where the number of factories soon increased from one to ten. However, the results for the colony as a whole fell far short of expectations. In 1890 Schenck established his own tobacco factory at Oudtshoorn, and in 1897 applied for naturalization. By 1927 he was still managing director of K. Schenck & Sons, Ltd., tobacco manufacturers at Oudtshoorn. The firm was later run by his son Robert. Agricultural Journal of the Cape of Good Hope, 1888, Vol. 1, paper by Schen(c)k.
Cape of Good Hope. Civil service list, 1888. Cape of Good Hope. Report on the cultivation of tobacco in the Colony: Report by the Tobacco Expert for 1886-1887. Parliamentary Report G3-1887. National Automated Archival Information Retrieval System (NAAIRS). . Documents relating to Schenck, Karl Friedrich Ludwig / Schenk, Karl Friedrich Ludwig / Schenck, K.
South African who's who, 1909, 1917/8, 1919/20, 1923/4, 1927/8.